Do you want this stuff on your dinner plate? Action Alert! Researchers have conducted a groundbreaking new study that shows a link between Roundup and severe liver damage. The study found that Roundup administered to rats at extremely low doses caused non-alcoholic fatty liver disease (NAFLD) over two years. NAFLD can lead to cirrhosis, and increases the likelihood of diabetes, heart attacks, and strokes. NAFLD affects over 64 million Americans each year and costs $103 billion to treat. And now it’s clear that the ubiquitous weedkiller Roundup, available at all hardware stores, can cause it. Roundup and liver disease are only the beginning. Farmers are resorting to other weedkillers as weeds become resistant to glyphosate. It’s the same dangerous spiral we see at work in antibiotic resistance: due to overuse, bacteria become resistant to antibiotics, so doctors turn to “last resort” antibiotics, to which the bacteria will also likely develop a resistance. In particular, the herbicide paraquat has been gaining in popularity—seven million pounds of this weedkiller was dumped on American crops in 2015. Paraquat causes Parkinson’s disease. In fact, it’s so good at causing Parkinson’s that researchers routinely give it to mice to create an animal model. Multiple studies from the National Institutes of Health (NIH) show clear links between the chemical and Parkinson’s. “It’s about as persuasive as these things can get,” said one NIH researcher. Paraquat has been banned in Europe, and China announced in 2012 that it would phase out its use to “safeguard people’s lives.” Since drinking even one sip of paraquat can be lethal, it is used in suicides; in Taiwan, researchers say it caused 160 deaths a year. After South Korea banned paraquat, there was a 10% decline in suicides. So why are US regulators allowing something so toxic to be applied to American food? 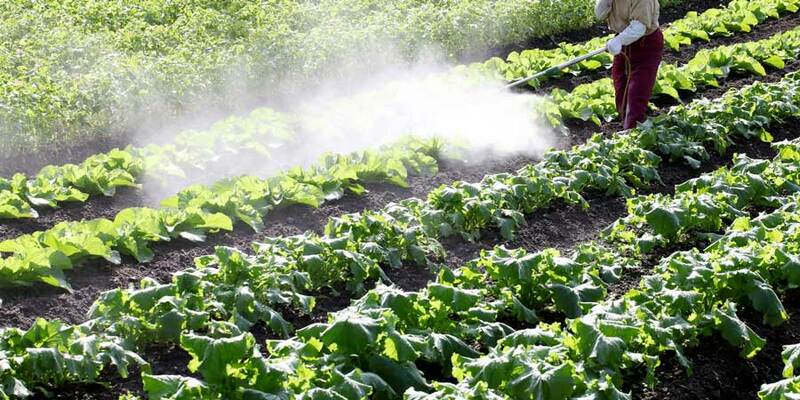 Last year, the EPA released a memorandum that outlined several “mitigation measures” for the safe use of the chemical—suggestions for how farm workers should safely handle paraquat. The EPA is also weighing whether to continue to allow paraquat to be sprayed on American crops, but a decision is not expected until 2018. We won’t hold our breath. The same crony influences that are undermining the agency’s review of glyphosate will no doubt be pulling the strings if and when the EPA considers revoking paraquat’s registration. We must keep the EPA accountable. Action Alert! Write to the EPA and tell them to stop stalling and ban paraquat. Please send your message immediately. Forced Vaccination Coming in California?